The performance of an Xtreme Cooler is dependant upon the temperature of the air and its relative humidity. Higher temperature give greater cooling. 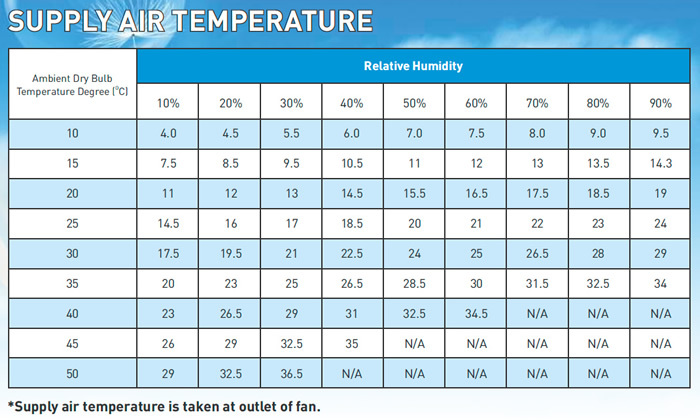 Low relative humidity gives greater cooling. 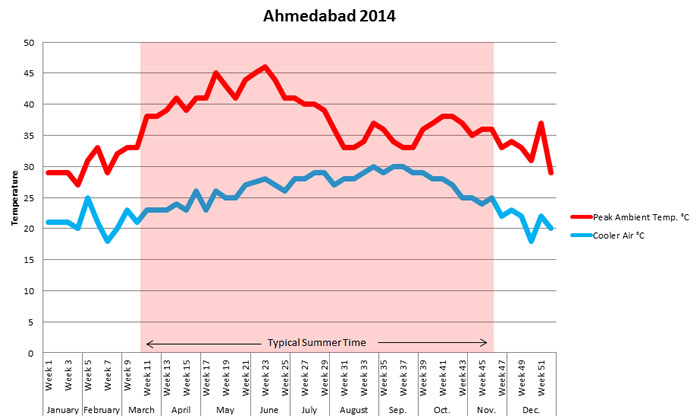 In cities like Delhi & Ahmedabad during a typical hot period the ambient temperature crosses 45° C. This coincides with a relative humidity of under 10%. 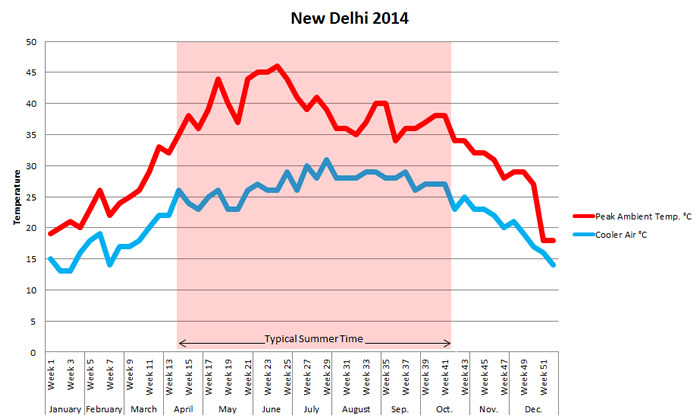 the supplied air temperature would be 26° C. Typically during entire peak summer season the supplied air temperature would remain in the range of 23° C - 28° C.
Please refer to below charts for typical climatic conditions for the whole year. indicated is the highest temperature reached in various weeks and the corresponding air supply. The temperature reduction is very significant at high temperatures. This is due to the fact that when temperature is high, relative humidity is low. Hence, more evaporation can take place and more temperature reduction can be achieved.